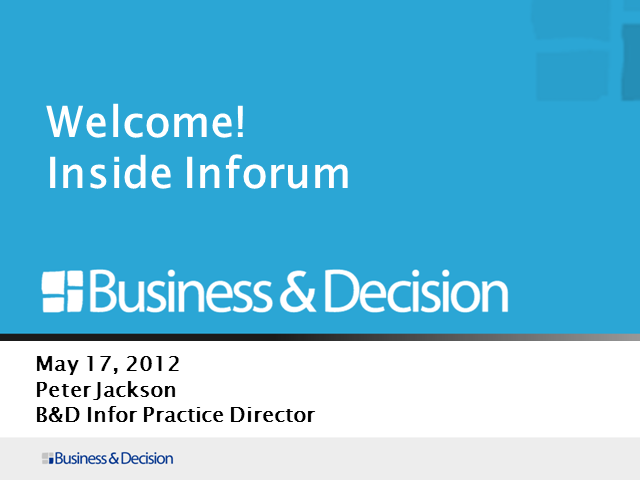 We are holding a 1 hour webinar to discuss our key takeaways from Inforum and what they may mean for the Baan community. We will break it down in such a way that you get the basics of what was presented and come away with a synopsis of the key points delivered. We are always willing to go into more detail at a later date if you have an interest in a specific topic. • What is Infor ION? Please join us for this 1 hour informative webinar and you will leave thinking that you were in the seat next to us at Inforum! !